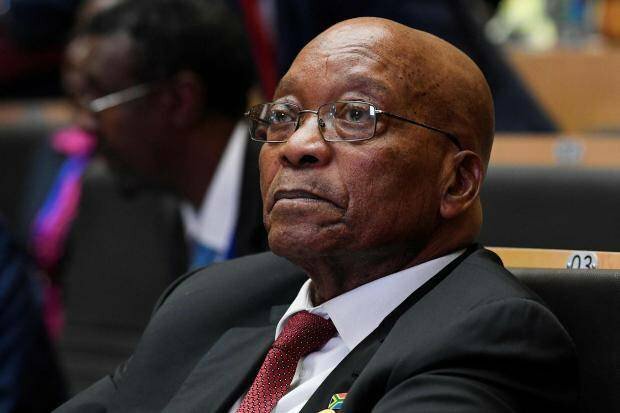 PRETORIA/JOHANNESBURG, (Reuters) – South Africa’s African National Con-gress party executive committee has decided to “recall,” or remove, President Jacob Zuma as head of state, a senior ANC source told Reuters yesterday, after a 13-hour meeting of the party’s top leadership. Since Deputy President Cyril Ramaphosa was elected party leader in December, Zuma has faced mounting calls from his party to end his scandal-plagued second term scheduled to run out in mid-2019. The 75-year-old Zuma has been South Africa’s most controversial president since the end of white-minority rule in 1994, overseeing a tumultuous nine years marked by economic decline and numerous allegations of corruption. The party’s executive committee has the authority to order Zuma to step down as head of state, although there is domestic media speculation that he might refuse. Ramaphosa, 65, went to meet Zuma late yesterday before returning to the meeting that sealed the president’s fate. “We decided to recall Zuma. 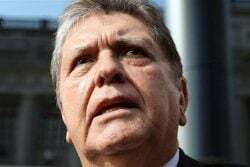 He hasn’t been told yet,” the senior ANC source said. The decision to remove Zuma was widely reported by local media. ANC officials and Zuma’s spokesman could not be reached for comment. The SABC state broadcaster, citing sources, reported that Ramaphosa met Zuma to pass the message that the ANC’s executive group had given him 48 hours to resign as head of state. Local news service Eye Witness News reported, citing sources, that when Ramaphosa went to see Zuma, the president said: “Do what you want to do” when asked whether he would agree to resign or face a recall. Zuma’s tenure as president officially runs until mid-2019 and he has not said in public whether he will step down voluntarily. Zuma no longer holds a top position in the party. The rand, which has tended to strengthen on signs that Zuma could step down early, was volatile on Monday as the political drama unfolded. Zuma himself engineered the ouster of former President Thabo Mbeki in 2008 shortly after taking the helm of the ANC. Mbeki was also “recalled” by the ANC, ending a nine-year rule marked by economic prosperity but marred by allegations of abuse of power. Since becoming president in 2009, Zuma has been dogged by scandal. Some within the ANC and the opposition say the Gupta family, friends of Zuma, have used their links with the president to win state contracts and influence Cabinet appointments. The Guptas and Zuma have denied any wrongdoing. India’s Bank of Baroda, which counts the Guptas as clients, has announced plans to exit South Africa, the central bank said yesterday. Ramaphosa has put the focus on rooting out corruption and revitalising economic growth since defeating Zuma’s preferred successor, Zuma’s ex-wife Nkosazana Dlamini-Zuma, in the ANC leadership race. The former union leader has said he does not want to humiliate Zuma, but has been lobbying behind the scenes for him to step down early.